One thing we can all agree on is that our community, and our country, is better when we all work together! 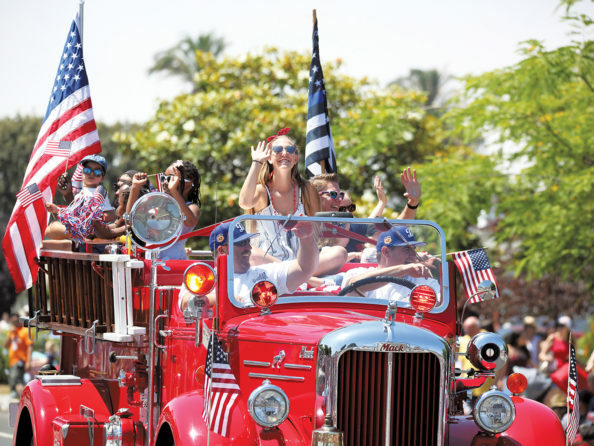 This year marks the 20th anniversary of the LAX Coastal Fourth of July Parade, and organizers have selected, “America…Better Together” as the 2019 theme. With the goal of celebrating what connects us and promoting unity, the theme represents that working together makes us a stronger, more diverse and prosperous nation. Applications for participating in this year’s event are available at laxcoastal.com/parade and are due by May 17. Entries that include building a float and a musical component are especially appreciated. Organizers are also looking for the National Anthem singer for this year’s event. Auditions will be held in April, and those interested in a tryout are asked to email info@laxcoastal.com for more info. Essays are due by Thursday, May 30, and two will be selected for publication in the July Parade edition of the HomeTown News. The writers of the winning essays will also receive a gift card to a local restaurant. Please email the essays to westchesterhometown@yahoo.com.